“End of Knowledge is Enlightment. End of Education is Character.” These words of Swami seemed to come out in action from the educare faculties in a three day Orientation Workshop on Education Values. 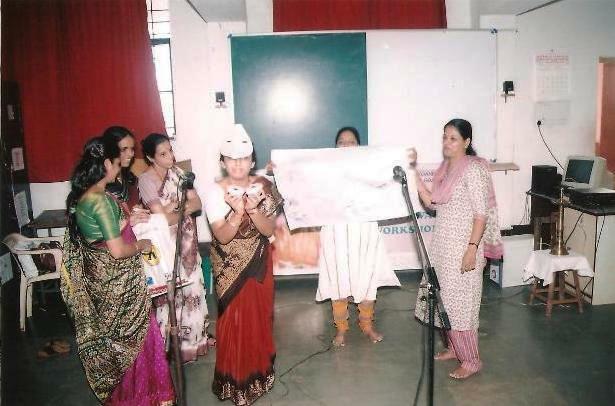 Held at Saraswat Vidhyalaya in Mapusa, it successfully was able to put a deep impact on the 52 teachers who had participated in the workshop. Faculties like Mrs. Shailaja Dharwadkar, Mrs. Padmaja Bhosle, Satyajeet Bhalerao, Kiran Shetty, etc provided inputs to them by short speeches and drama. The principal, Mr. Sanjeev Dharwadkar and All Goa District president for Sri Sathya Sai Organization, Dr. Arun Bhobe were also present for the occasion. It is nice to see that there are people who are working out to improve our education system. In order to bring back the human values in our children, it is necessary that we do something different from western type of practical education.